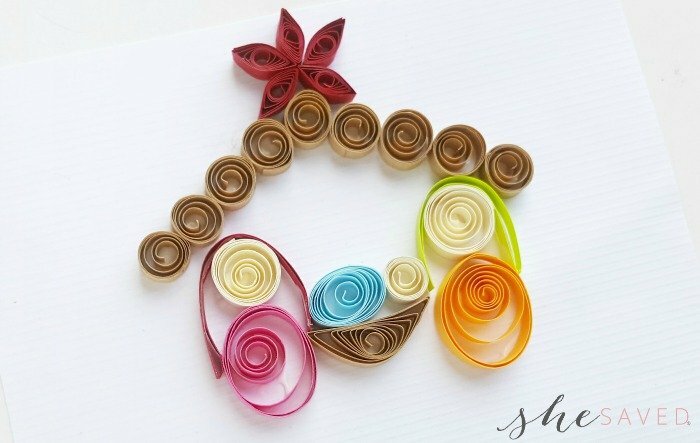 I love Christmas crafts, especially ones like this quilled nativity scene that not only are fun to make, but have special meaning and help us to celebrate the Christmas season and the reason behind it. 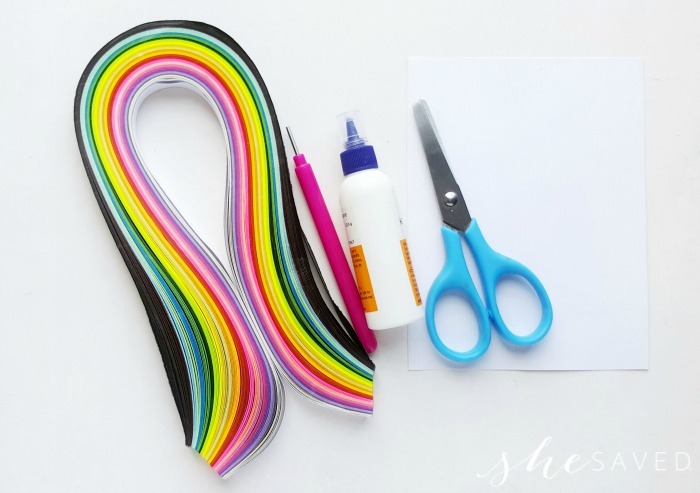 This would be a lovely craft for a Sunday school classroom and also makes a neat gift idea. 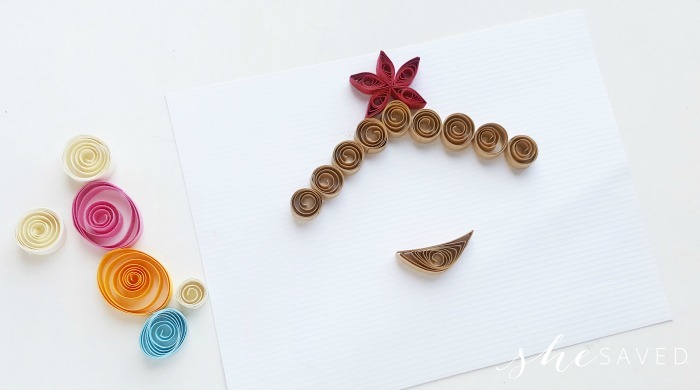 We’ve shared quite a few of our DIY projects lately on the blog, and we’ve really been into paper quilling, so make sure to check out our other DIY and Paper Quilling projects here. 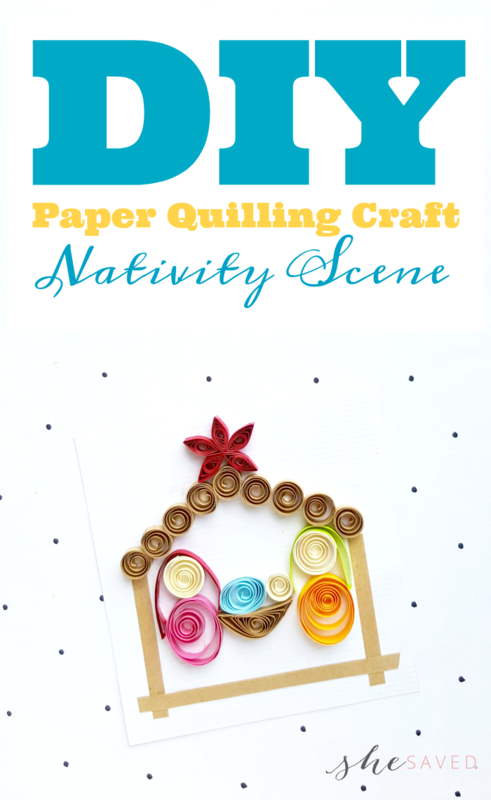 This quilled Nativity scene is so sweet and our favorite thing about paper quilling is that it’s easy and affordable with very few supplies needed! 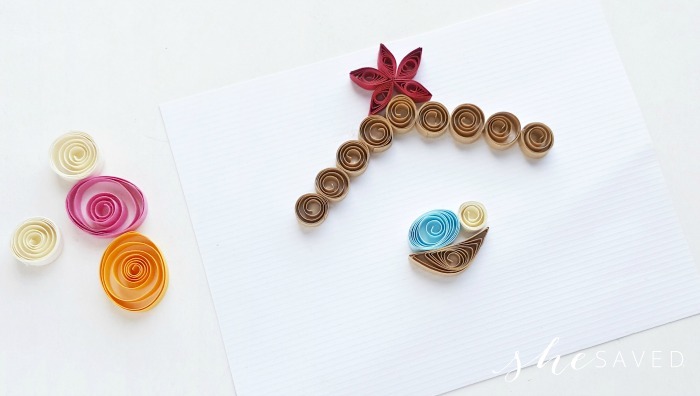 Prepare a piece of white stationary paper for the art. 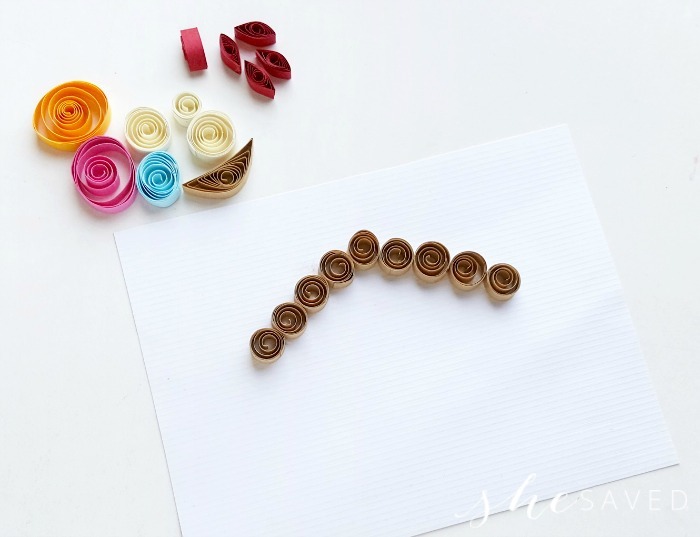 Glue the 9 loose coils prepared for the roof on the stationary paper and create the roof pattern. Though this step is optional but you can also add 3 strips on both sides and along the bottom side of the scene. 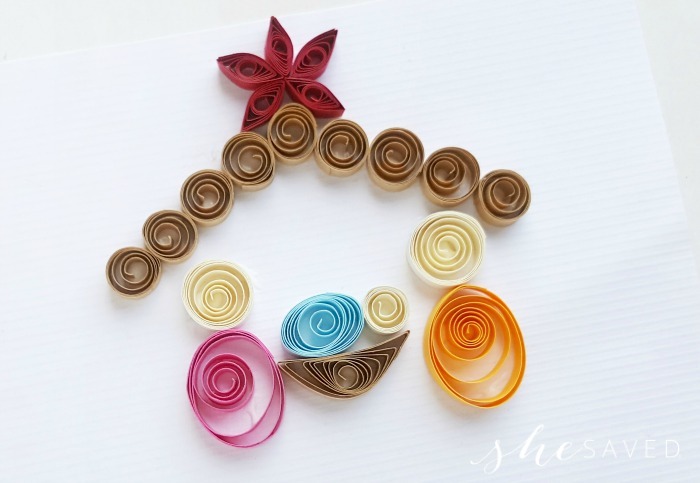 You can also use quilled shapes instead of strips. 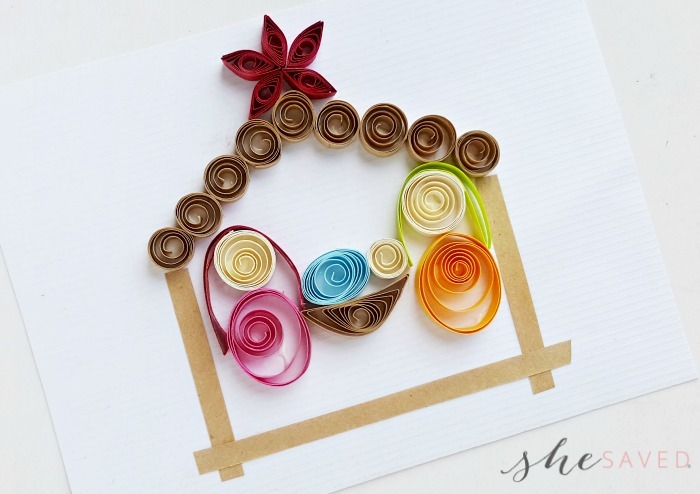 Allow the glue to dry and you are done with your paper quilled nativity scene! 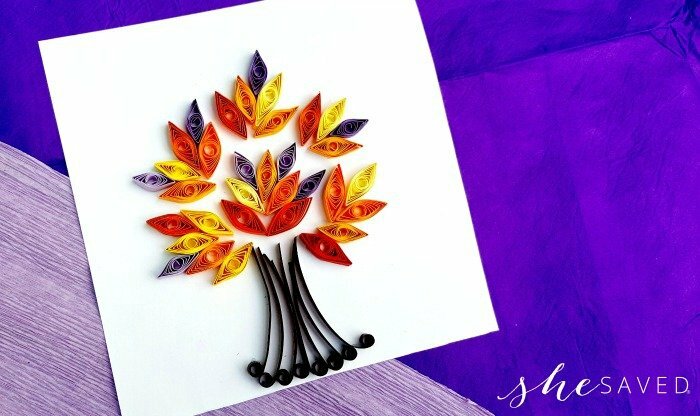 This is a wonderful little project that can be done in classrooms, sunday school … and it also makes for a wonderful keepsake card! 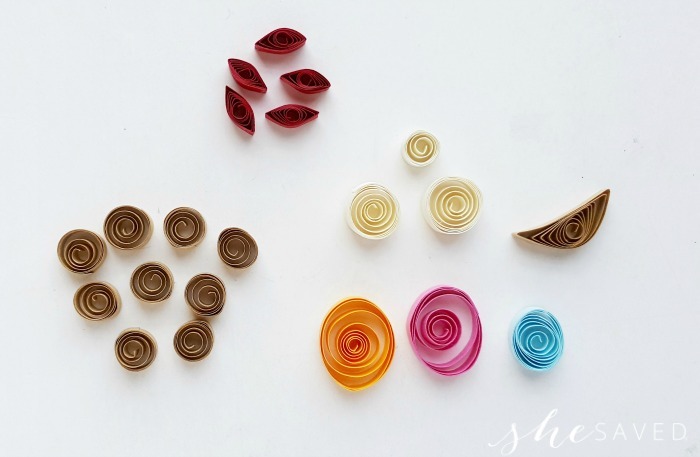 We love to frame our paper quilled projects, so maybe consider that as well. 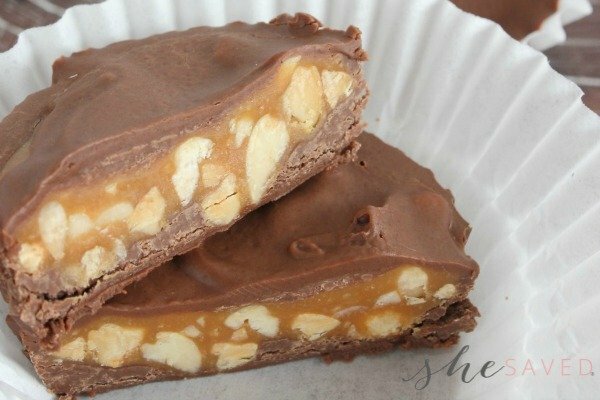 This will be a sweet craft that you will enjoy giving as a gift and/or bringing out each year during the holiday season.